American Girl dolls are so lovely, but they're very expensive. If you don't have the small fortune it costs to spend to bring your daughter's doll to the American Girl store for a full beauty treatment, do it yourself at home for a fraction of the cost. First, undress the doll completely. Lay the clothes aside to deal with later. Take a small bowl and put a tablespoon or two of baking soda in it. Add water to make a thin paste. Dip a damp washcloth into the baking soda mixture. 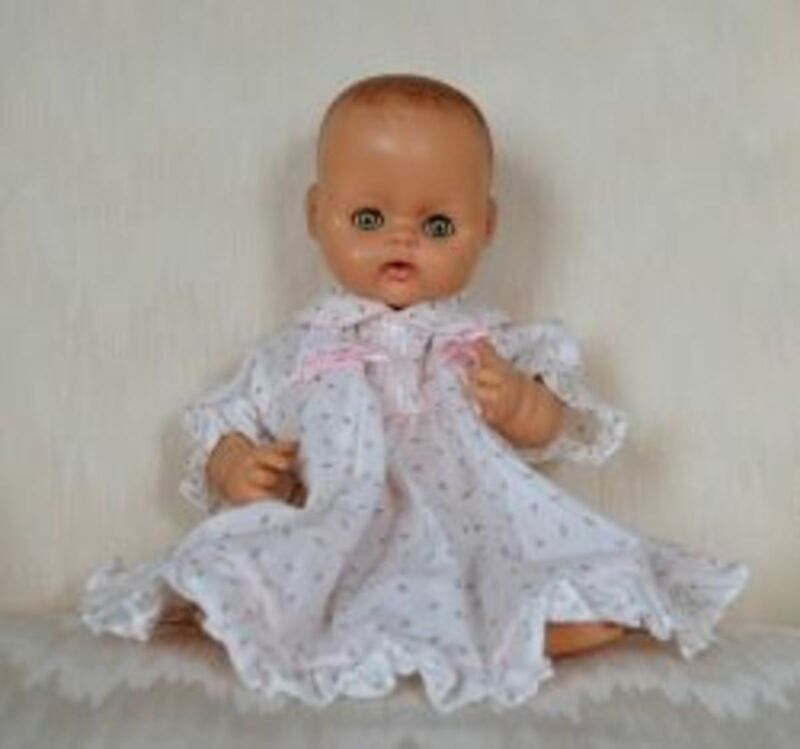 Gently rub any dirty or stained spots on the soft vinyl parts of the doll and the dirt should wipe right off. Use a clean, damp washcloth to wipe off any remaining baking soda paste. Then towel the doll dry. Take care not to wet the cloth body or the eyes of the doll. The eyes can rust. Do not use any chemical cleansers, or you may strip the paint right off the doll's facial features! 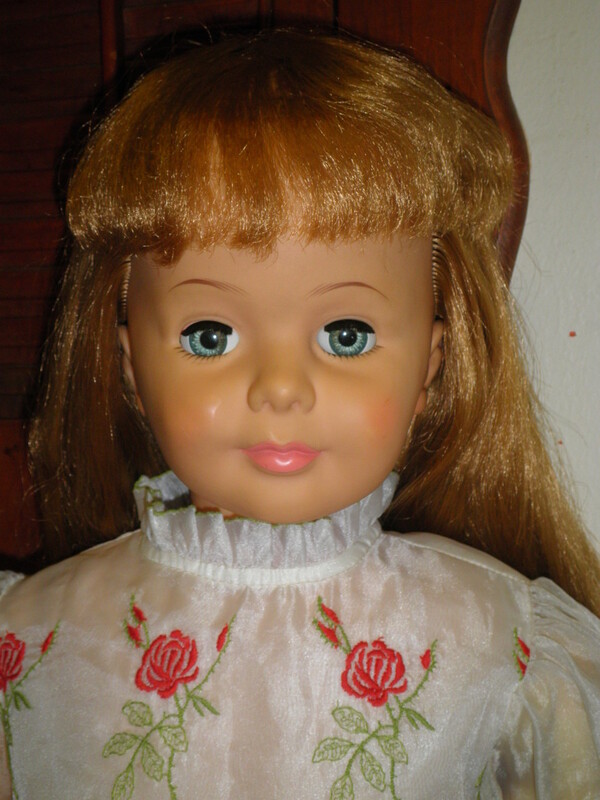 Do not ever brush the doll's hair dry, because it will frizz up and become unmanageable almost immediately. Don't get water in your doll's eyes; they may get discolored. Don't use human styling products; they're not meant for doll hair! Don't pull too hard on tangled hair; you can pull out the hair or even loosen the doll's head. Start with a brush with widely-spaced metal bristles (or a pick, for curly styles) and a spray bottle filled with tap water. Spray your American Girl doll's hair lightly with water before brushing it, just enough to help the brush slide through. Don't soak the doll's hair, or waves and curls may disappear. For dolls with straight hair, once the hair is damp, brush carefully until any frizziness or tangles are gone. You can put your doll's hair into a ponytail or braid while it is still damp. You can use your own hair accessories or elastics to style her hair, but never use rubberbands; they'll pull out your doll's hair just as they pull out yours! Let the hair dry overnight. For dolls with curls, skip the brush entirely. 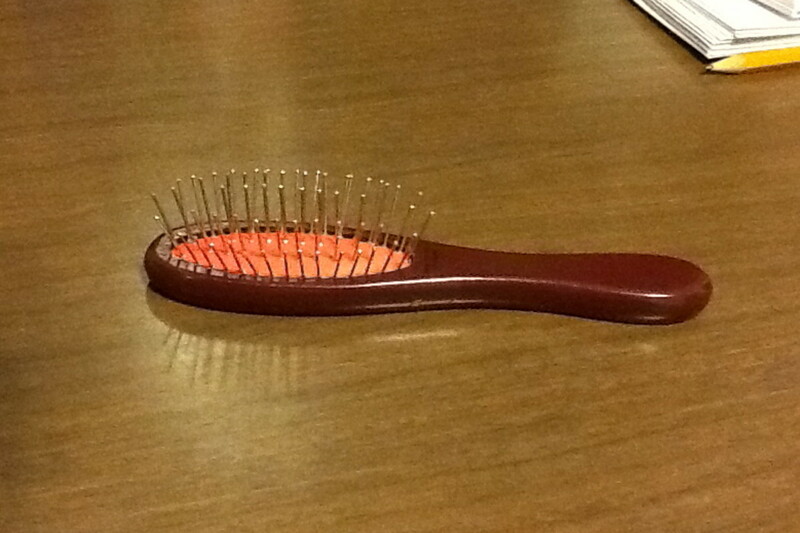 Use a pick with metal tines to separate and detangle her hair after spraying it lightly with water. Start at the bottom to separate the worst tangles first, but be gentle. Once the tangles are gone, wrap each ringlet around a finger to help them regain their shape. Don't use hot rollers or a curling iron; you will melt your doll's hair! If you hang the clothes to dry right away, they shouldn't need to be ironed. If they are very wrinkled, try using your iron on the coolest setting, and always use a press cloth between the doll's outfit and your iron, so any schmutz on your iron doesn't transfer back to the clean clothes. Once your doll's skin is shiny and clean again, and her hair is beautifully styled, It's time to make her look like new again. First, put on her original outfit that you have cleaned and ironed (if necessary). Make sure you have all her accessories! Then touch up her hair, in case it got messy while putting on her clothes. There you have it; a beautiful American Girl doll that looks like new! Try washing your doll's hair gently as I recommend above. Dust and dirt can make your doll's hair look dull and off-color. Rebecca, American Dolls have been around for more than 25 years. They are absolutely wonderful for girls, especially because of the high-quality books written for each character. Thanks for reading. I too have not heard of these dolls. Barbie, Madame Alexandra, Cabbage Patch. Good to know about the American Girl dolls. They sound like a classic! JudiBee: I love matching outfits! 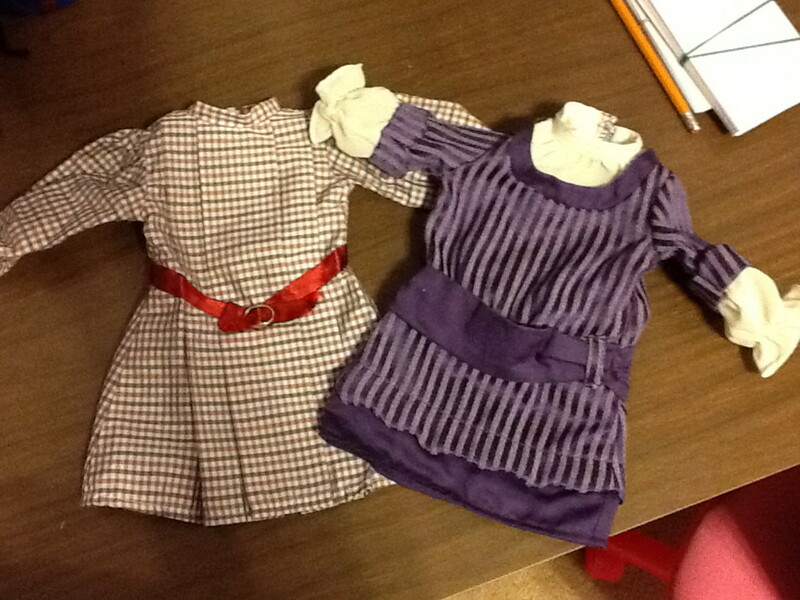 My mother actually made matching "Little House on the Prairie" type dresses for my daughter and her American Girl doll, and it is absolutely the sweetest thing in the whole world. Aren't moms who can sew amazing? Wish I were one! 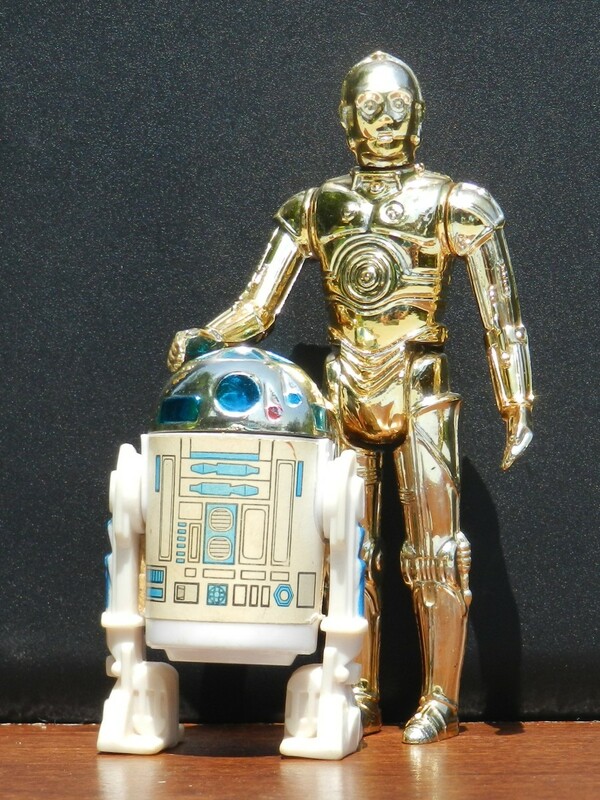 I've never heard of American Girl dolls, but my two favourite dolls both came from America. The first time we lived in the US, my father met me and my Mum at the airport and with him was my welcome-to-the-US present. She was a baby doll in a box and I called her Angela. I soon got her a friend, Jane. Mum made them and me matching outfits sometimes, which I loved. Angie is still with me, a little worse for wear, but I'm afraid I lost track of Jane. Hey, Janis! 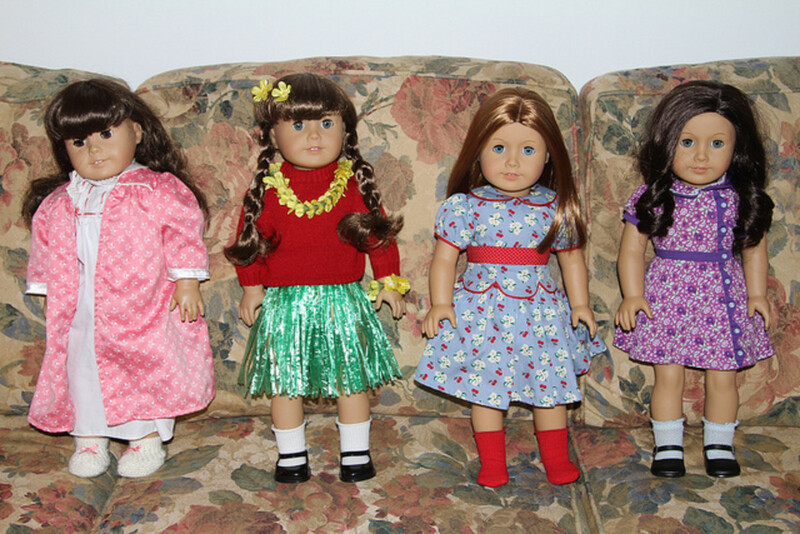 I was about to make a joke about Canadian Girl dolls, but I googled it and it turns out you guys have your own 18" vinyl dolls (called Maplelea dolls — each one represents a geographical area rather than a historical period). But I'm guessing it's only in the US that we have beauty salons dedicated to keeping the dolls beautiful! Actually, all snark aside, I think the AG dolls are great because they get girls to read about history. My daughter is tops in her social studies class because she adores historical fiction, to which she was introduced several years ago by the various American Girl doll series. Brainy Bunny, this is a fascinating piece of cultural insight--in Canada I never heard of these dolls. 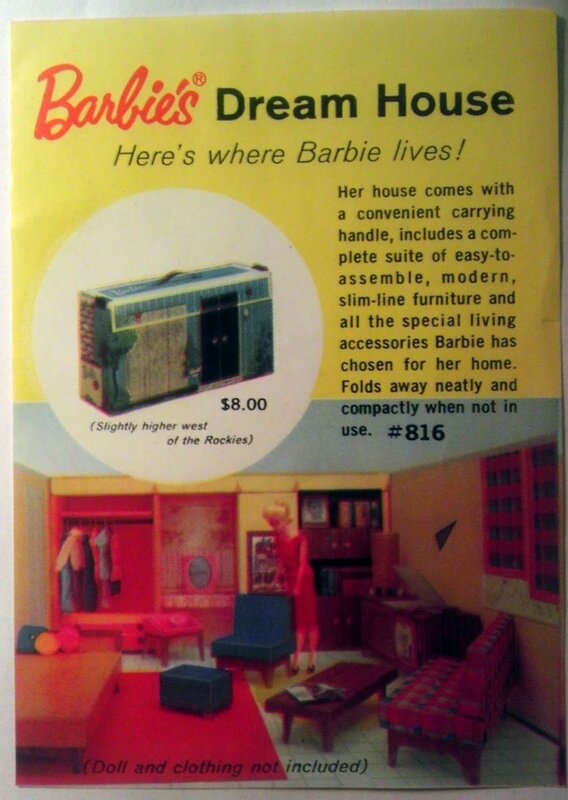 We all played with Barbie and her little sister Skipper when we were growing up. Wow! You really have quite the doll collecction. These are great tips for keeping the dolls clean. Getting your American Girl doll is like a rite of passage in my family, and the little girls look forward to the year when they get that big square (rectangle?) box under the Christmas tree from Grandma and Papa! Oh, yes, American Girl dolls are very expensive, and if you only buy AG-branded furniture and clothes, you could easily drop a thousand bucks on a nice setup. We get our stuff as hand-me-downs, which is much more affordable! By the way, the baking soda paste will clean Barbie's skin, too! Oh my my my! I had no idea these dolls were quite this pricey. 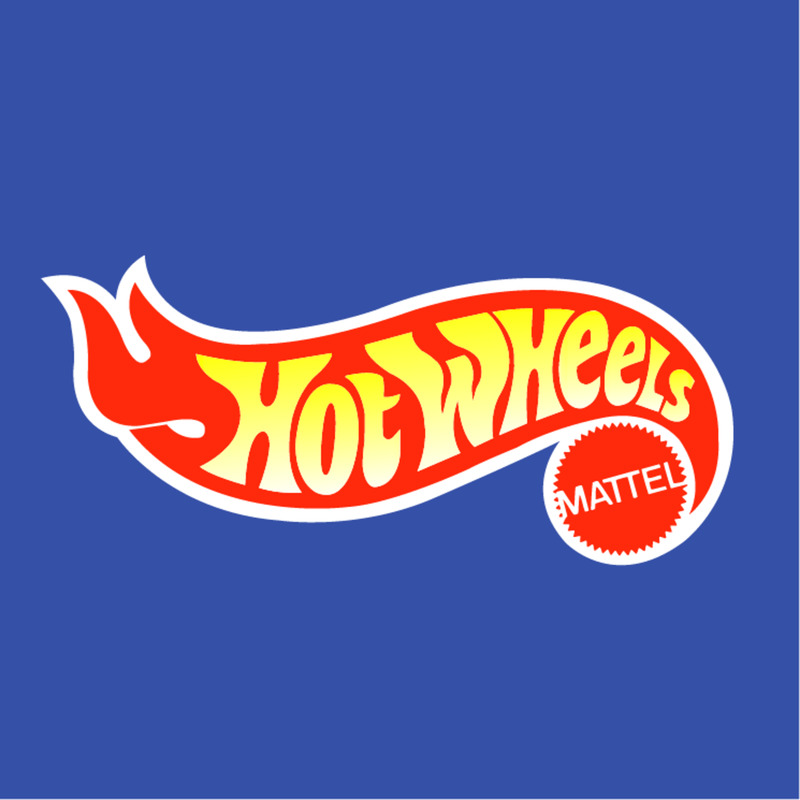 It makes my Barbie habit look delightfully affordable! Brainy Bunny, you share some excellent tips on how to fix these AG dolls into their spiffy selves. Great hub! Voted up and useful.